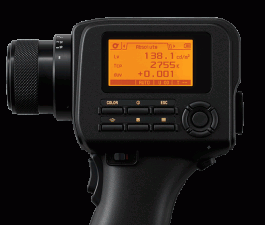 The CS-160 is a highly accurate and easy-to-use chroma meter with a with 1/3° measuring angle across a 0.1 to 9,999,000 cd/m² luminance range. It also possess sensor sensitivity that closely matches the CIE 1931 color-matching functions. 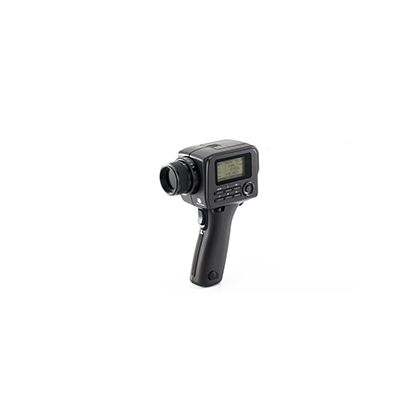 The CS-160 is lightweight, compact and battery powered luminance and tristimulus colorimeter for the measurement of a wide range of luminance conditions and non-contact measurement of color. The CS-160 luminance and color meter allows luminance and chromaticity to be measured remotely with an acceptance angle of 1/3° for small light-emitting surfaces. It is the perfect marriage of efficiency and ergonomics with regards to spot measurements of color and luminance in a handheld portable instrument. CS-160 provides an increased measurement range and a sensor that more closely matches the CIE 1931 color-matching functions. To provide the most accurate measurement of luminance and color, the relative spectral response of the measuring instrument should perfectly match the CIE color matching functions. Alongside improved usability, the CS-160 feature an improved correlation to the color matching functions which yield more accurate results that closely correlate with visual evaluation and a greatly improved measurement range up to 9,999,000 cd/m2.